SpamTitan is the ideal Anti Spam Software for Internet Service Providers, System Integrators and Managed Email Service Providers. In addition to providing the highest levels of spam protection and dual antivirus software, SpamTitan has a number of specific functions that make it suitable for companies offering managed email services. 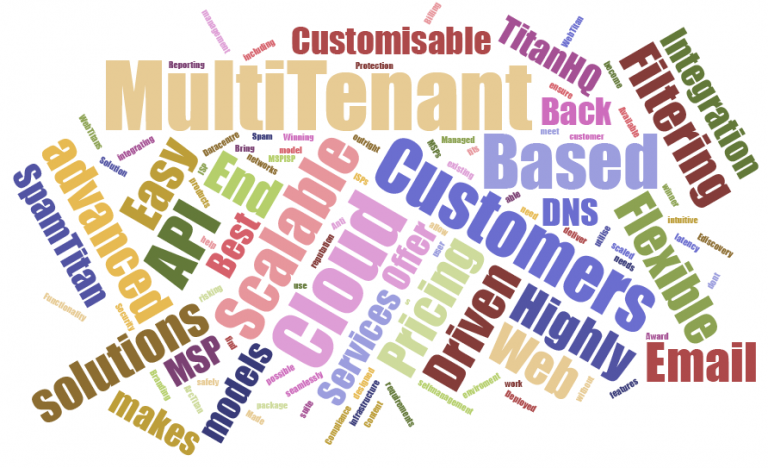 Why SpamTitan for Service Providers? An unlimited number of domains can be entered and configured on our anti spam software as a single file – allowing you to migrate from an existing system to SpamTitan without interruptions of your service and the painstaking task of having to re-enter each domain one by one. Per domain administrators can be created for each hosted domain, giving each administrator the ability to manage elements of their own email – including search and release from quarantine, the creation of unique whitelists and blacklists, domain-specific reporting, and domain history view. By creating the administrators for each hosted domain, the support overhead for your managed service is reduced. SpamTitan is designed with the lowest management overhead possible thus ensuring Total Cost of Service is kept to a minimum in this competitive market. A full suite of reports can be set up for each domain including license count, mail usage, spam reports, etc. These can be created by the SpamTitan administrator or by the local domain administrator depending on requirements. Customers will always have up-to-minute protection thanks to automatic updates. You can rebrand SpamTitan with your logos and information to ensure your customers are continually reminded of the excellent services you provide. SpamTitan is available as a full white label version. SpamTitan’s pricing model allow for the flexibility required when dealing with the fluctuating numbers of customers as is common when offering managed mail services. If your company provides a managed email service, you are invited to try SpamTitan for free for thirty days. Internet Service Providers, System Integrators and Managed Email Service Providers are in an ideal position to evaluate our anti-spam solution for Managed Service Providers, as SpamTitan can be trialed alongside existing anti-spam solutions to achieve a like-for-like comparison. Contact us today for more information about SpamTitan and our invitation to try an anti spam solution for Managed Service Providers free for thirty days.